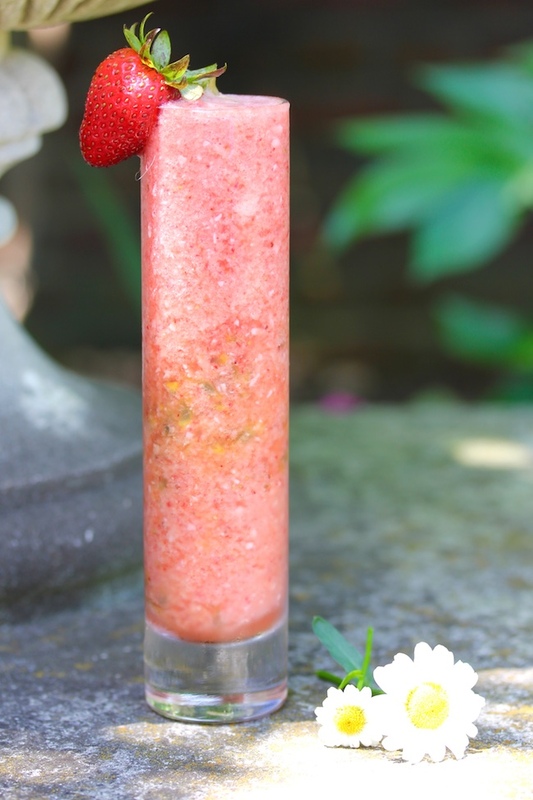 In a blender, mix strawberries, coconut, ice and apple juice. If you’re using passion fruit sorbet or juice, add it to the mix and blend well. 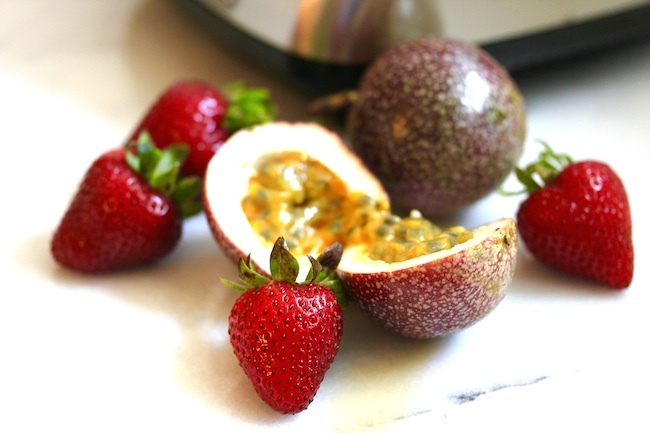 If you’re using passion fruit seeds, stir them into the mixture after you’ve blended the other ingredients. Pour into tall glasses and garnish with a strawberry per glass.